The PdfDocument is the main class in PDFOne Java. It represents a PDF document and allows you to create, read, and enhance PDF documents. It offers numerous methods for you to render PDF elements such as text, images, shapes, forms, watermarks, and annotations on to documents. Before you start writing new PDF elements, you need to first create a PDF document or load an existing document. To create a new document, you create a PdfDocument object. After you create a new PdfDocument object, the writeText() method will allow you write text on a page, which is created by default in the document. When you begin writing text in this manner, text will be rendered on the top-left corner of the document. Subsequent calls to the method will change this location to where the previous writeText() method had let off. Screenshot 1: Text is rendered at default location using default font. To read an existing PDF document, you need to create a PdfDocument object and then call its "load" method with the file pathname or a memory stream containing the PDF file. 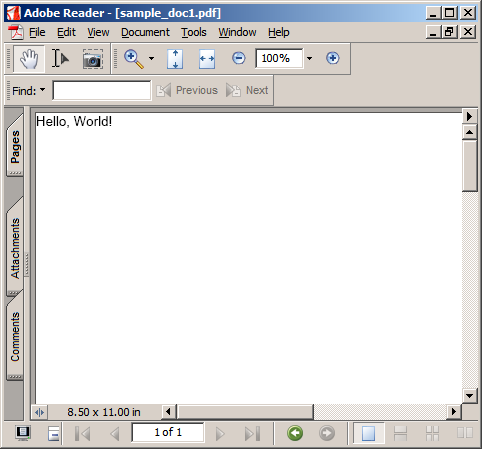 Once you create the PdfDocument object, you can use the object's methods to read from the loaded document. In the above code snippet, the number of pages in the document is retrieved. If you need to make changes to an existing document, then you need to call the "save" method of the PdfDocument instance. In the above code snippet, a PDF document is loaded and another "Hello, World" text string is written at a different location (specified by x-y coordinates) on the first page using an overloaded method of PdfDocument.writeText(). This modified PDF document is then saved to a different file. 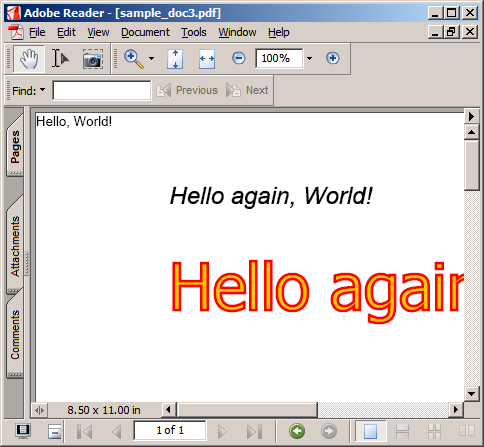 Screenshot 2: The "Hello, World!" text is from the original input file. The "Hello again, World!" text is rendered at a specified location. You can also render text in different fonts and colors using PdfFont objects. You can create font objects either by specifying the name of the installed font or the pathname of the font file. In this revised code snippet, text has been rendered using specific fonts. This has been made possible by the use of another overloaded PdfDocument.writeText() method. A further improvement has been made on how the text is rendered using a particular font. 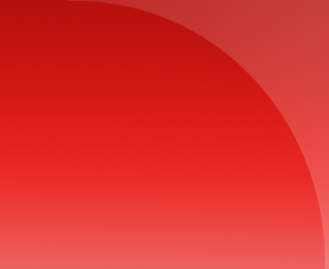 Colors used to fill and stroke the text have been specified by modifying the properties of the font object (Tahoma). Screenshot 3: The first "Hello again, World!" text is rendered using Arial Italic in default black color. The second "Hello again, World!" text written using Tahoma font is filled with yellow and stroked with red. Both text strings are rendered at specified locations using specified fonts and font sizes. The "Hello, World!" text is from the existing document that was read. We have seen the basics of using PDFOne Java. Next month, we will see how to create multiple pages, and render text, shapes, images and watermarks over them.